We’re sharing the differences between potato pancakes and potato latkes so you can choose the right recipe. Potato pancakes or potato latkes? Which should you make? Is there really any difference? There are some significant differences and we’re sharing them so you aren’t disappointed in the outcome the next time you make them. By the way, we have both the perfect potato pancake and potato latke recipe for you. Potato pancakes require a little more time in preparation. They have to be grated on the finest (smallest) holes of the grater. It requires more precision to prepare them and takes longer to grate them to the mushy consistency you need to for pancakes. Potato latkes are shredded on the largest holes of the grater and they take less time. Both of them require similar ingredients, including eggs which help bind everything together. Some people use a higher ration of batter to potato for their pancakes than I do, which can also give a lighter fluffier texture to the pancake. Either way you make them, potato pancakes have a softer texture. Because the potatoes are finely grated the batter appears pulpy and watery. Once they are fried they are generally softer and fluffier like traditional pancakes. Potato latkes on the other hand are crunchy. 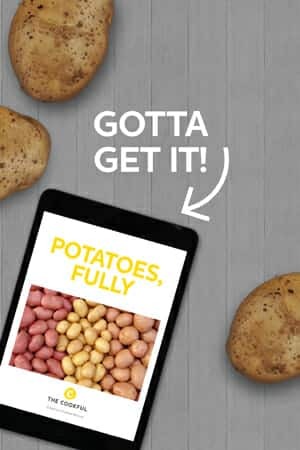 Because you grate the potato into larger shreds, you still get more of the potato’s natural texture, which helps them fry up with the delightful crunchiness latkes are known for. Potato pancakes and potato latkes both have an incredible potato taste and depend on the seasonings you mix in with them to give them variations in flavor. Potato pancakes cook in about 3 – 4 minutes on each side, while potato latkes take 4 – 5 minutes on each side – both on low-medium heat. Therefore, potato latkes require a little longer time to cook. I’ve also noticed potato pancakes splatter more around the pan making a little more mess since it is more of a batter while potato latkes don’t splatter so much. Potato pancakes are more rounded than potato latkes and you can make them uniform more easily. On the other hand, potato latkes are also rounded, but you’ll notice shredded pieces of potato sticking out here and there. 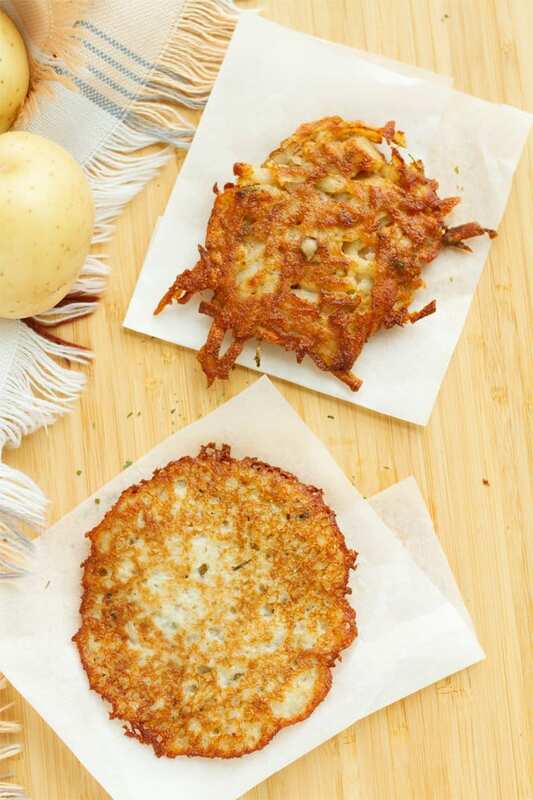 Finally, potato pancakes are thinner, while potato latkes are thicker. Hi, I was looking for a recipe for potato pancakes when I came upon your comparison. When I was young, my mother used to make homemade potato pancakes. They were kind of fluffy like regular pancakes, but had a purplish tinge to them and the edges were crisp. I can’t ask her for the recipe, because she died when I was 12. I think it may have been a family recipe, but haven’t been able to find a similar recipe. I can see them in my mind and almost taste them, but haven’t been able to come close to what I remember. I’m sure she used raw, finely shredded potatoes, because there were no chunks or noticeable pieces of potato. I’m not sure if they had onion in them or now. They were served for breakfast with syrup. If you have any ideas for a recipe, I’d be very grateful if you’d share it with me. Thank you for your time and the article you posted, made my mouth water just thinking about it. By the way, my mother’s grandfather was from Prussia. Christina, I’m really not sure. I’m guessing they’d be closer to the potato pancakes than to the latkes. Both can be served with a sweet syrup or apple sauce. 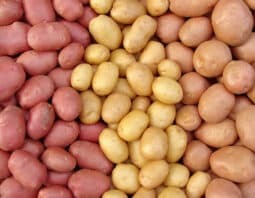 The purple tinge comes from the potatoes oxidizing between when they’re shredded and when they’re cooked and can happen to both types as well. Good luck trying the recipes and in finding the one that reminds you the most of your childhood. if you find it, do come back and let us know!